Vintage table lamp with teak base made in the 1960s. This lamp is quite heavy and beautifully finished. It gives beautiful indirect lighting. 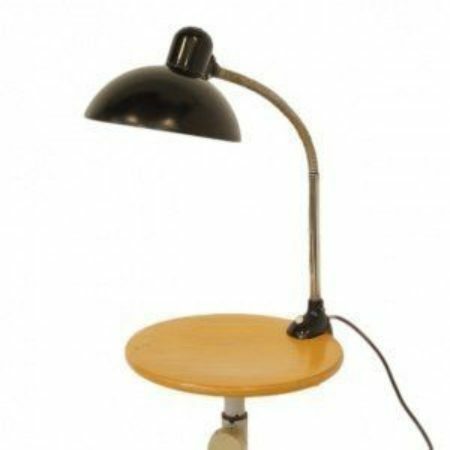 In the lamp is a round fluorescent tube of 32 W (this is still for sale). Dimensions: h x w = 54 x 39 cm. Material: iron, fabric, plastic and brass. Because of the 220 V, fluorescent tube lamp not suitable for 110 V like in the US. Good; normal traces of use corresponding with age and use. € 225,00 € 195,00 Sale!